Marin County Dental Implants: We’re Just a Short Drive Away! 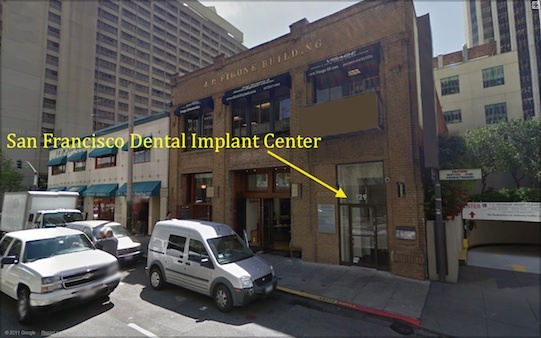 Our dental implant center is an easy commute from Marin County! Many of our patients come from Marin County in search of a top Marin dental implant center or a top Marin oral surgeon for dental implants. Guess what? Many of them take the easy trip from Marin County to San Francisco in search of affordable dental implants and a top oral surgeon, our very own Dr. Alex Rabinovich. While technically we are located in San Francisco, Marin county is not that far; and for an important procedure like dental implants, the easy commute from Marin County to our San Francisco office is worth it. If you are looking for a top Marin County oral surgeon and dental implant center, make the commute. For affordable dental implants in Marin County – you’ll be glad you did!